We would love the opportunity to show you our available homes. Property tours can be scheduled most days by appointment. Use the interactive calendar, email missymccall@retirewithrealestate.biz, or call 513-266-1437 to schedule a tour. Click on the link below to access the calendar. CLICK HERE to Schedule A Property Tour With Missy Today! New fulfillment center to be built near I-75, receives 10-year tax credit. Amazon will open a new fulfillment center in a Monroe industrial park near Interstate 75, bringing 1,000 new jobs to the region, the state announced Wednesday. A dramatic revival over the past 15 years has occurred in Downtown Cincinnati. Over-the Rhine has transformed from an area of crime, poverty, and abandoned buildings into a bustling neighborhood filled with restaurants, theaters, and shops. Kettering Health Network held a groundbreaking ceremony for a $30 million medical facility off I-75 in Middletown. The facility will include an emergency department and is expected to bring in 110 new jobs. 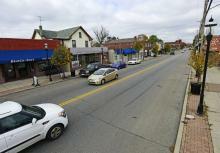 Plans are in progress to redevelop Main Street into a dining and entertainment district. This new growth is projected to bring 1,000 new jobs to the city of Hamilton. 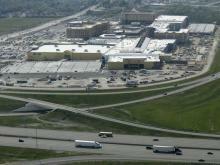 Local business leaders are being honored for developments along I-75. They feel this business growth will continue and eventually merge Cincinnati and Dayton into one metropolitan area. Hamilton, Ohio was selected as the backdrop for two upcoming movies. There will be a need for local crew members, extras, and select roles for each film. MillerCoors Trenton Brewery, one of the largest employers in Butler county, just celebrated its 25th anniversary. Middletown's largest employer, AK Steel, looks to improve communication and collaboration among employees in order to improve its profitability.